As part of its commitment to reduce maternal mortality, the government of India has actively promoted institutional deliveries along with several other health system reforms. 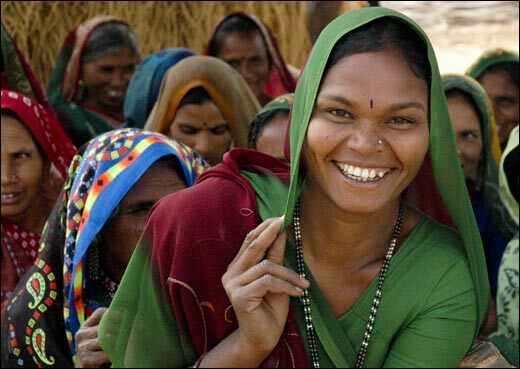 Conditional cash transfers, mobilisation through village-level health workers or Accredited Social Health Activists (ASHA) and mandatory outreach clinics are some of the measures through which women in rural areas are actively encouraged to have their deliveries in public health institutions. Many States boast of high rates of institutional deliveries as a marker of success of the National Rural Health Mission and subsequent efforts. At a time when more and more poor and rural women in India are giving birth in hospitals, it is important to ask this question: What are women’s experiences with institutional deliveries? Does institutional delivery equate to a high quality of care? Are our public health institutions equipped to provide gender-sensitive care? Does a safe birth mean the mere survival of women alone or does it also mandate that women give birth in settings that treat them with care, respect and dignity? In our research done in Guwahati recently, we encountered several cases where the hospital birthing experience of women was neither safe nor dignified. Over a year, through interactions with two dozen women and their families and health workers, we uncovered harrowing tales of pain, violence and suffering during childbirth. Some of them reported many types of abuse: being yelled at while they are in the throes of labour, their birth canals widened and stitched without anaesthesia, and their accompanying relatives being reprimanded for speaking on behalf of the women or for asking “too many questions”. An ASHA reported that a woman whose baby had died in-utero had been left without medical attention at a large government hospital for two days. In addition to such obvious physical and emotional abuse, women have reported instances of callousness, neglect and a lack of dignity while giving birth. For example, gauze/cotton being left behind that led to infections, hasty pelvic exams and being left alone in pain without being given any information on how labour is progressing or what they needed to do. These experiences are not peculiar to rural Assam. Our fieldwork in other sites in rural Odisha and Karnataka shows that similar grave problems exist. Women and their families have shared harrowing experiences of being referred from one hospital to another or frantically arranging for blood for transfusion to arrest emergency obstetric complications. Some of these problems can be attributed to the large footfalls in many government hospitals as well as infrastructural inadequacies. With reductions in the health Budget, the problems are bound to worsen. However some of the other problems have a deeper and more complex history, which have to do with gender and class. The women who end up for their deliveries in government facilities tend to be overwhelmingly poor and rural, especially in regions with large indigenous populations. While posh private birthing spas have mushroomed in the metros of India, where women with means are encouraged to retain their autonomy and follow natural birthing practices, the experience of giving birth in State hospitals is starkly different. Poor women and their families still end up having considerable out-of-pocket expenses. Further, medical education in India does not have a sufficiently gender-sensitive curriculum. In fact some doctors told us that they were “taught to cut (operate on) women at the peak of their pain” and that no anaesthesia was necessary since they already had intense labour pain. It is not coincidental that women’s pain caused by unnecessary procedures such as episiotomies have been historically dismissed in the Indian context. Two possible avenues for ensuring safe, humane and dignified childbirth in India could be the revival of the trained-midwife programme and embedding gender sensitivity in the medical education curriculum. The initiatives around institutional births, while important and commendable, require that the experience of childbirth not be traumatic for the millions of poor women in India who give birth in State hospitals. Sreeparna Chattopadhyay was faculty with Azim Premji University. Suraj Jacob and Arima Mishra contributed to this article.